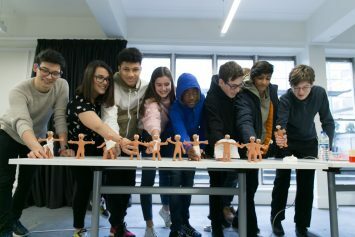 For their Art&Design Masterclass with model maker William Harding from Aardman Animations, which was run over two sessions, Art&Design Club members from the University of Westminster had the opportunity to make their own models of the well-known Aardman characters Morph, Shaun the Sheep and Gromit. 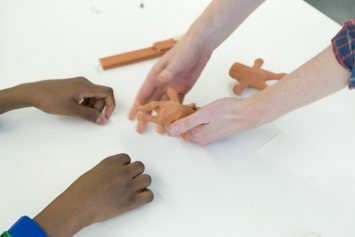 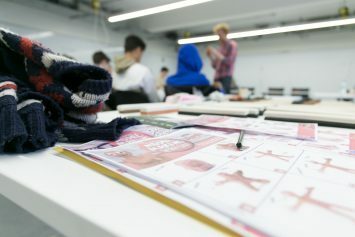 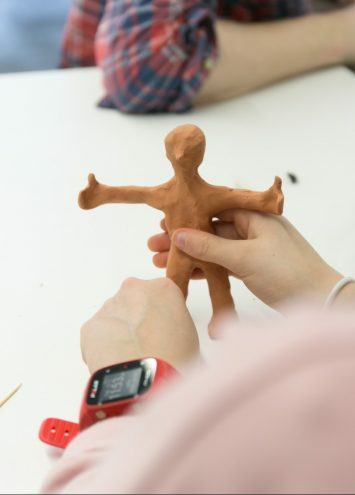 It was a great opportunity for the young people to meet someone working in the animation industry, and they responded well to the brief, working hard to make their modelling-clay characters and then, in the second session, using them to make their own animations. 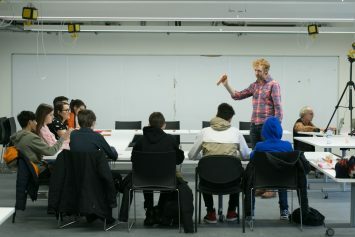 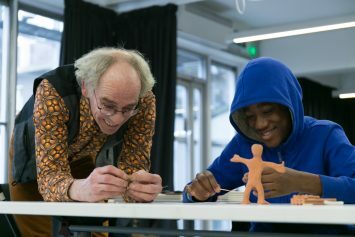 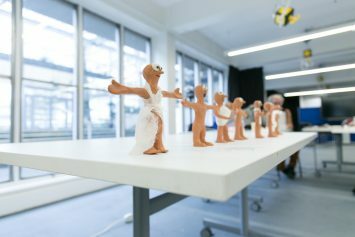 In a relaxed and fun atmosphere, they learned about the attention to detail that goes into each model, how much time it takes to work the plasticine into the exact shapes, the number of versions that would be created and other special techniques – all in all, it was an excellent insight into the industry.